What particularly concerns me is when you have those individuals that are opposed to the Common Core Curriculum, start to band together in action groups and become extremely vocal about their beliefs and objections, yet when you ask them to explain what they are opposed to, and the reasons they are opposed to it, they actually have little or no idea what the Common Core Curriculum means, what it involves – or even its current status. My own view may be too simplistic, but the last time I looked at a child from New York, they had one head, two eyes, two ears, a brain, and two arms and two legs – and maybe coincidentally – they actually seemed to look, act and learn exactly the same way a child from Los Angeles, Phoenix, Boston or Minnesota does. So what on earth the justification could be for teaching a child from California any differently to a child from Ohio, I really have no idea. Therefore the fact that America – with its 52 million students, has been educating it’s children based upon what are essentially 50 different curriculum’s (one per state) seems rather ridiculous to me. Most countries operate their education system using a single National Curriculum. It is my understanding that India with its 1.2bn population and 250 million school students is using just 2 National Curriculums. The UK with its population of 70 million operates under a single National curriculum as do most other countries. So if that’s the case, surely we could do something similarly sensible. After all, consider the excessive amounts being spent – and potentially wasted each year, trying to maintain a different curriculum for each of 50 States. How is this any different to a single ship being commanded by 50 captains? To me this borders on the ridiculous, especially at a time when so many schools are so desperately short of money and underfunded. Personally, if a Common Core Curriculum is all about taking steps to ensure that the children and students in schools across the United States are learning the same curriculum, then I’m all for it. But hey, that’s only my opinion. What do you think? 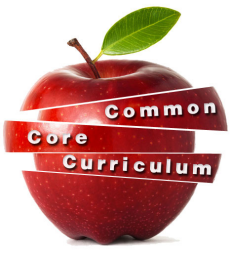 Do you think you fully understand what the Common Core Curriculum is, and what it offers? 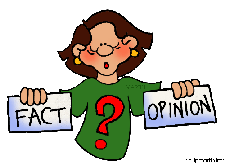 In your opinion; is the Common Core Curriculum Bad? Is the Common Core Curriculum Good? And if you think the Common Core Curriculum is good …..or bad …..please explain why? You might help change my mind.